This lovely white, black and red gerber daisy wedding cake was created for a couple who married in Gatlinburg, Tennessee. 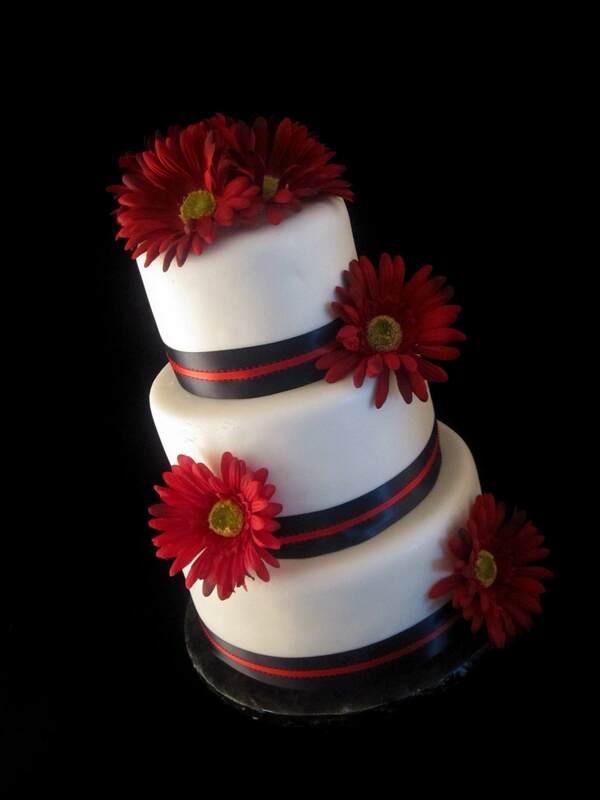 The three tier cake is covered in our marshmallow fondant and accented with silk blood red gerber daisies. 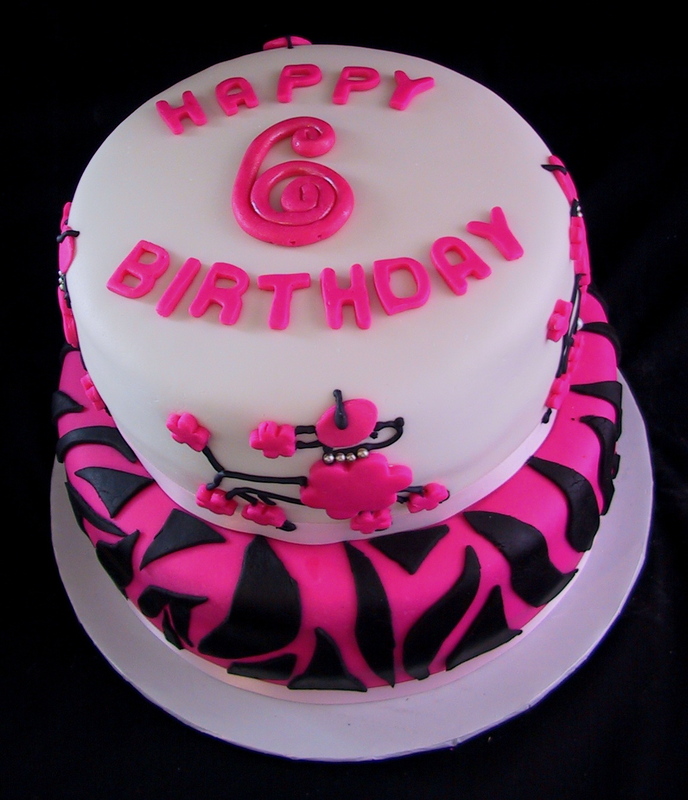 This fondant covered hot pink, black and white parisian poodle cake was created for a little girl’s 6th birthday. 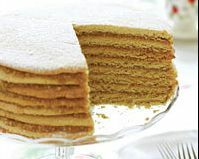 The cake was white with fresh raspberry filling and the second layer was chocolate with a fres raspberry filling. 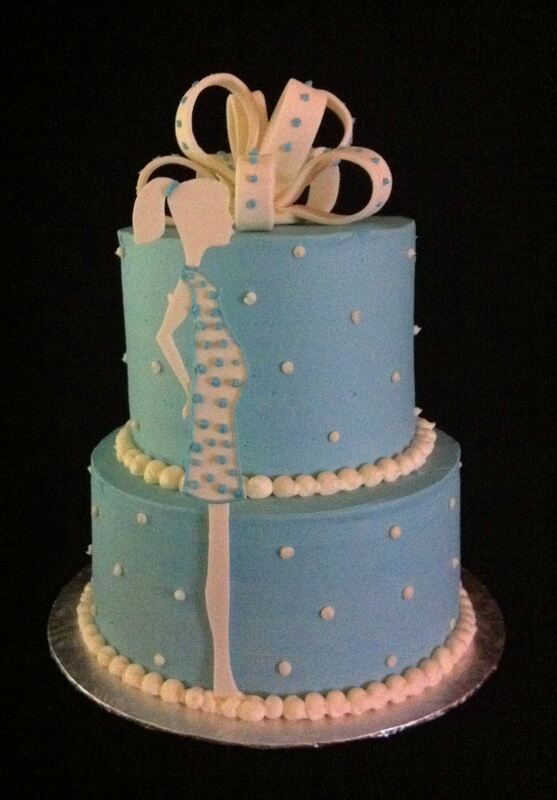 Both cakes were iced with a vanilla buttercream and covered in a vanilla marshmallow fondant. 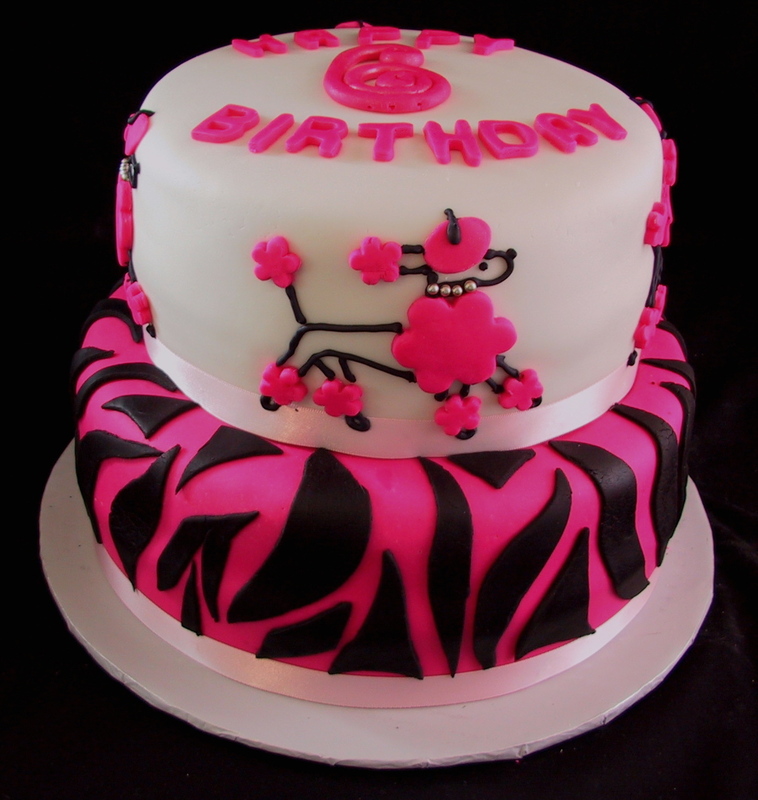 The poodle is created with fondant and royal icing. 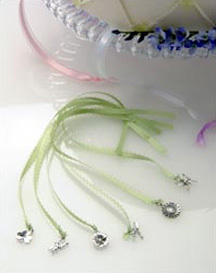 The collars are silver edible beads.